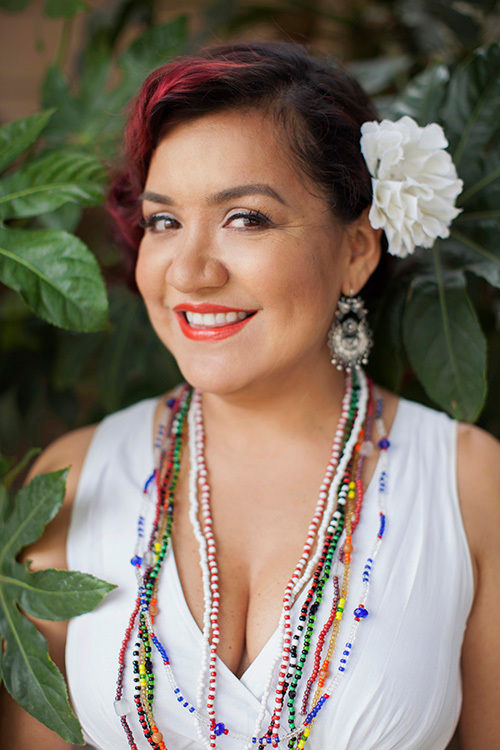 Join ASU Gammage Resident Artist and Grammy Award-winning singer/songwriter from East LA rock band Quetzal, Martha Gonzalez for a special night of classic Mexican ballads. Gonzalez will be joined by her brother, acclaimed musician Gabriel Gonzalez. They will perform a traditional Mexican repertoire written by some of the leading songwriters of the century such as Juan Gabriel and Jose Alfredo Jimenez. Mexican music education begins most often in the home. The family becomes the principal educator around the sonic and lyrical significance of la musica ranchera, boleros and the countless repertoire that Mariachi ensembles master. Los Angeles, California has generated countless Mexican musician families whose talents and musical contributions have reached worldwide critical acclaim. The Gonzalez family from East Los Angeles is one such family. Martha and Gabriel Gonzalez have had local, national and international music impact via their individual and collective work. Born to Mexican immigrants from Guadalajara, Jalisco, the Familia Gonzalez have become a staple of the Los Angeles community in the Mexican and Chicano sound. Gabriel is a Grammy award-winning singer and longtime collaborator of Quetzal as well as a respected artist in the thriving L.A Salsa scene via his band La Verdad. Martha is the singer-songwriter and percussionist for Grammy Award-winning band Quetzal and a current ASU Gammage Resident Artist. The concert will feature the Gonzalez siblings’ early bolero and ranchera repertoire that their father and mother exposed them to at an early age.